Cut in half and locked up. 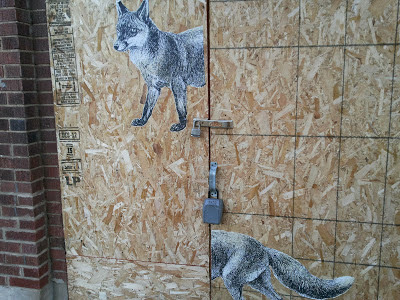 It's hard out here for an urban wolf paste-up. Spotted on the fire-gutted but slowly-being-remodeled storefront at E. Mifflin and N. Webster. 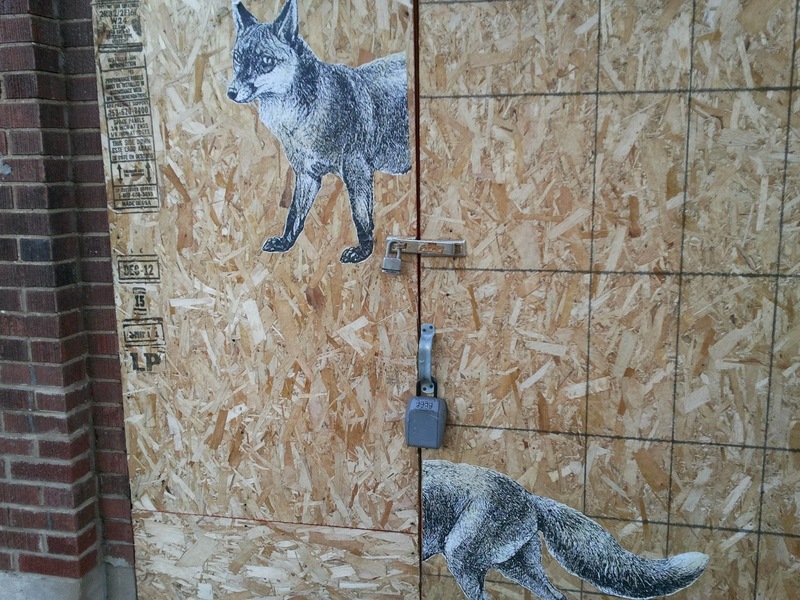 Literal street art is coming to Madison! Madison's buildings are already used as blank slates for murals, and poetry has sprung up on east side sidewalks. Now the streets, too, will become a canvas, with a newly passed ordinance allowing paint and chalk drawing. ...The ordinance approved at Monday's Common Council meeting would allow for chalk and painted designs on streets "with a speed limit of 25 miles per hour or less." The ordinance was approved at last Monday's meeting of the Common Council, and though there's not yet an official process for artists to submit ideas, there should be something soon. Read the full article above for details, and get to brainstorming!